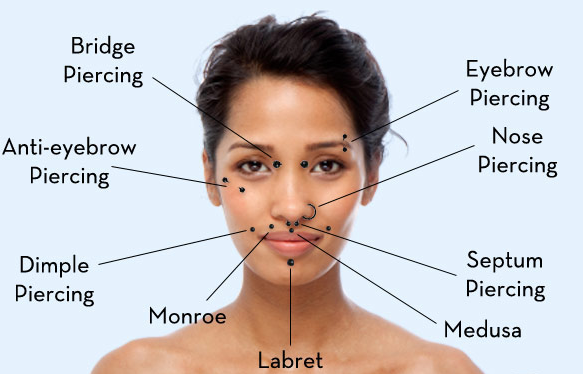 Medusas and Labrets: How to fake these piercings. Hello! I'm so sorry I haven't blogged in a long while. I've been doing some thinking about the business, and right now it's on standby. In the meantime, I'll be blogging about other things in my life. Today I want to share with you how I fake a philtrum (medusa) and labret piercing. This also works as fake microdermal piercings, too! So I was doing some research, and found that some people had posted videos of faking medusas on YouTube. They didn't say much except how to do it. So I ran out to the dollar store and bought some 3mm and 5mm cubic zirconia jewels, and some eyelash glue from the pharmacy. This is how I stuck the jewels to my face. First I took a q-tip and dipped it in some rubbing alcohol. I washed the area I wanted the jewel to sit above my lip with soap and water. I then grabbed the jewel with some tweezers and cleaned the back of it with alcohol to remove any oil. Let this dry. While still holding the jewel firmly in the tweezers (back side up), take your (already opened) lash glue and put a small amount on the jewel. I discovered that if I put a small amount of glue on my face where I want the jewel to sit, it will stick better. Count to 30 seconds, and then put the jewel in place. Press firmly, and you're done!! Now all you have to do is not touch it. The first 3 times I tried this, I only put glue on the jewel, and had only swabbed my face. The jewel stayed on, but when I nicked it, it fell off. :( I think cleaning the jewel with alcohol is more effective as it washes off any oils your hands might leave behind; oils that prevent glue from working. This photo above is what a medusa piercing looks like. Isn't it pretty? This one shows a medusa and a labret. Here I had the 5mm jewel where the smaller one is, but thought it was a tad too big compared to my septum, so I made it into a Bindi "microdermal piercing." Totally cute, right? Finally, I believe that if you take good care of your face, the jewels should be able to stay on all day. Don't touch them, or shower, or get too sweaty or they could pop off. But do clean the area and jewel with rubbing alcohol, let dry, and put a light cover of glue on both face AND jewel (and don't forget to count to 30), to ensure maximum sticking! 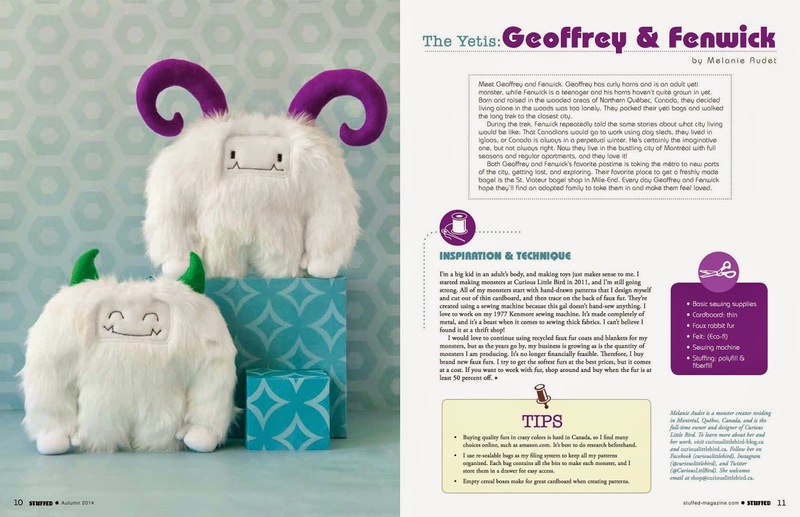 If you haven't heard of STUFFED, it's a magazine that features only stuffed toys. One can send in their toys twice a year and try to get published. Since there are literally hundreds (maybe even thousands) of plush makers out there, it's super hard to get in. I got contacted by the editor, so I was already sort of in. I had to send my stuff in anyway, but the editor was vouching for me, so I got in! Don't forget to run out and get your copy of STUFFED! They're in magazine stores now!